Have you ever wondered what happens with stolen passwords? Have you ever wondered what happens with stolen passwords? Only a few years ago, a computer damaged by a virus because malware could induce some fraudulent uses as spam or a stop on some features. But these days, cybercriminals go much further with the data stolen by pirated systems, including passwords and logins associated email related to a variety of online retailers. We thus have botnets, such networks of infected computers or zombies that obey a remote control and monitoring of an outsider. The term is also used to define the botnet virus that infect computers. 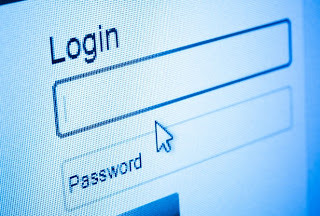 By default, most malware will extract the passwords stored in the browser of the computer of the victim, intercept and record all credentials submitted in the Web, such as when the user enters his or her credit card number and address on a website selling online. This is how they obtain the stolen passwords. The most valuable data extracted from hijacked computers are banking information. But there are also non-financial value, especially for sites that collect and resell hackers stolen information. Indeed, data connections for well-known online stores are sold – either in bulk or separately by the retailer’s name – on the underground criminal forums. A fraudster who operates a botnet Citadel of a certain size (a few thousand bots) can hope to quickly gather large volumes of data and reference users browsing history from hijacked computers. More cybercriminals offer their own website to sell stolen data for online shops. Accounts containing identifying information relating to an e-mail can bring a few dollars. Almost all the elements of a hacked computer and the online life of a user can be exploited for commercial purposes. If it has a value and cannot be resold, then there is a service or product online for cybercriminals to monetize it. You need to protect your computer, tablet and smartphone, by having a strong antivirus. Also use a VPN service, not to be the next on the list of cybercrime cases. A VPN connection will secure your activities on the Internet, your use of Facebook and online media. Its technology allows setting up a VPN tunnel between you and the VPN server access points on the Internet. Therefore, you surf anonymously, without restrictions, and it is impossible for anyone to intercept your traffic during your secure connection to a VPN server. A VPN makes your online activity undetectable. Your private information also remains private online.